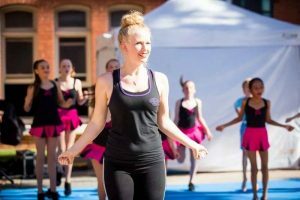 Our academy has access to some of Perth’s most popular and inspiring dancers, instructors and choreographers, who offer their professional services to events and clients of a wide variety. We can offer trained, experienced and passionate performers to meet your needs. Do you have a performance that requires the services of a professional choreographer? Contact us today to find out more about hiring an experienced choreographer to help put together your event or performance, regardless of the context, style, age or experience of those involved! We can even schedule rehearsal time and space if required. In the past we have helped students put together or polish their dance routines for competitions, and provided choreography, rehearsal time and studio space to corporate clients, created flashmob routines for performances at weddings and public events, and much more. We are flexible and happy to consider your individual needs, no matter how specific or odd they may be! Speak to us today about how we can help with your performance. Here at WAPS we obviously have access to a range of performers, from seasoned professional dancers to students of all ages. Whether you’re looking for a fun performance from a group of youngsters for a community festival or fete, or a polished and professional performance to entertain your audience and give your event the “wow” factor, you can contact us. We can put together floorshows and packages to meet almost any theme and budget requirement, or customise a completely original service to meet your needs. We have provided comperes for corporate events, back-up dancers for clients’ solo song & dance acts, singers and dancers for televised programmes, and regularly perform as back-up dancers and singers for children’s entertainer Peter Combe, including at Perth’s Fringe World Festival. Contact us today to find out more. Are you the Physical Education or Arts coordinator of a primary or secondary school with no specialist dance staff or facilities? WAPS have experience providing a range of services to schools, offering students valuable insight into the world of dance, whether it be for fitness and movement, or for expression and technique. We have provided staff to teach one-off lunchtime workshops to keep kids of all ages occupied and active, and we have also provided staff for continuous regular classes, covering technique and choreography for a number of weeks. Specialist dance classrooms are not required, and all WAPS staff carry a current Working with Children Check. Whether you’re interested in pastoral care, or meeting curriculum outcomes, get in touch with us today to find out more about how we can help. WAPS teachers are also available to attend hens parties and kids birthday parties – if you prefer to simply run a one hour dance class rather than our themed party packages, contact us for a quote.